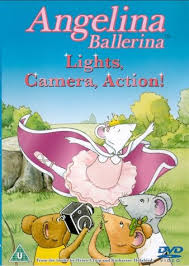 Four further adventures from everyone's favourite dancing mouse, Angelina Ballerina. In 'Lights, Camera, Action!' Angelina is entering a movie-making contest and wants to star in her very own weepy melodrama. In 'Anya's Visit' Angelina is overjoyed when Anya comes to visit, that is until she takes the attention away from Angelina. In 'Henry's Halloween' no-one believes that Henry has seen the Chipping Cheddar witch until he saves Angelina and Alice from a terrifying encounter. Finally in 'Sammy's Club' William must find a way to join Sammy's downhill racer club. Copyright The Kinderballet Store. All Rights Reserved. eCommerce Software by 3dcart.